How to Log Yourself out of your Facebook remotely – Stop the FRAPE! Home » Site-Sections » Gadget Guides » How to Log Yourself out of your Facebook remotely – Stop the FRAPE! You know that sinking feeling, when you suddenly get an update on your Facebook, saying “Joe Blogs likes your post” and you wonder… wait, I haven’t posted anything for days…. Only to discover that you left yourself logged in on your friends laptop, and your Facebook is now in the hands of someone else. With the inevitable “I like Justin Bieber” Facebook post to the slightly more harsh fake relationship announcement (“Oh, you are engaged!”), it can be a trying time for victims of the frape, but alas, there is a way to quickly end this by remotely logging out of Facebook. 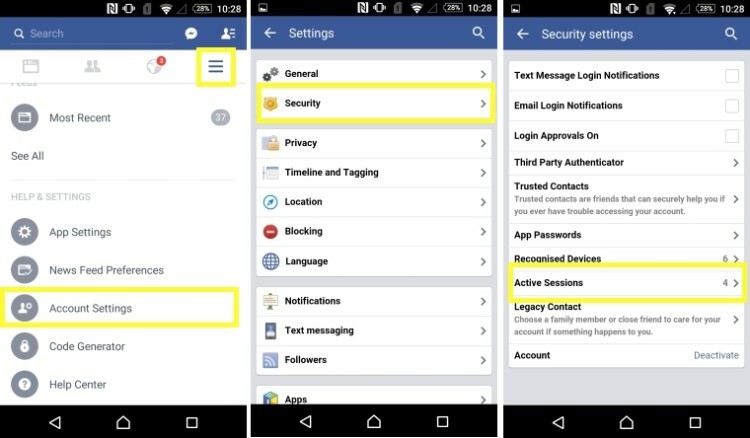 Many people do not know that you can remotely log yourself out of Facebook, using any device, mobile or PC based, so we at the Gadget Helpline are here to show you how. 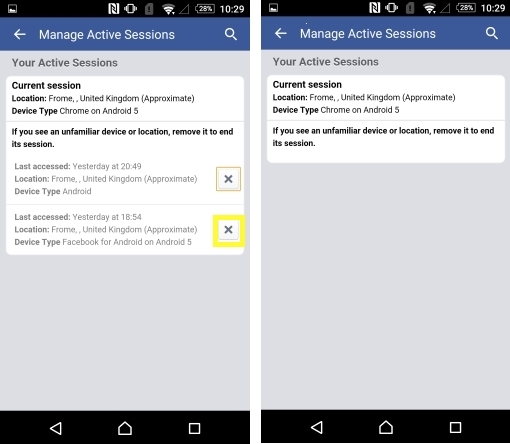 Inside the active sessions, all of your logged sessions will be displayed. Some of theses will be from external devices or applications you have given access too via apps and games. Close all sessions by tapping the X icon. When all sessions are closed, you can exit the Menu. That’s it, all other apps and accounts will be logged out, and this will end the Incoming attack from your most loved ones. For a guide on how to do this on the browser based version, click the link below. But for any future Frapes and badness, the simplest way is to be more vigilant. You can do this by A) Never logging in on another devices or B) Getting better Friends!